When talking about leg workouts especially for the quads. 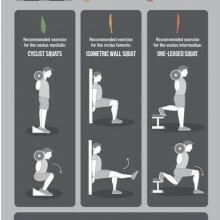 The exercise that usually comes to mind is squat or the leg press. 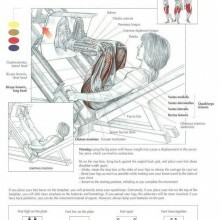 Anyone that workout knows how to do the leg press but how many are actually doing them correctly? In order to get the most out of the exercise. Foot placement and where to target the legs is crucial, obviously more of the quads, and less of the hamstrings. A lot of people have that misconception that just getting on the machine and it does the work. But you really have to pay attention to what your doing, since it is a quad exercise. For foot placement, as you get high up on the platform which people tend to do. You will focus more on the hamstrings which is the back of the legs and glutes. Obviously that’s not what we’re focusing on. Keep your foot low on the platform! Yes, higher foot placement will make it a lot easier to press a lot of weight. Which you will often see guys (or even girls) at the gym that like to press a lot of weight using this form to impress people. But we’re just going to stick to getting the most contraction out of the legs. Platforms will vary in size, so you want to keep your feet on a lower position of the platform. Not high because it’s going to work more on the hamstring unless that’s what your trying to focus on. Foot placement should be no more than shoulder width apart. Toes pointed slightly outward, this will maximize quad contraction. You want to come down to the point where your glutes don’t lift up from the platform. You want to come down low enough that you get a good contraction on your upper quads. Machines that force your body into a certain locked position to move weights in a single plane, such as the leg press and smith machine, are dangerous and just nonfunctional. These put your body in a unnatural position that lead to numerous knee and back injuries. There are so many squat variations, with both barbell and dumbbells, that are incredibly more effective, safer and functional to build strength and size. 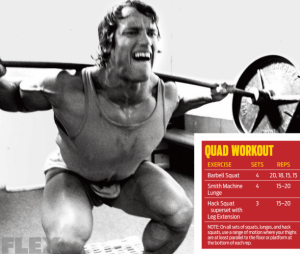 In fact, you’ll build more muscle with any kind of squat because they incorporate so many more muscle groups and stabilizers as well as increases the release of growth hormones…with proper form, of course.